Your home deserves the best. We can deliver it, starting with expert advice on how to immediately prevent more damage. When fire, smoke or water unexpectedly damage your home, the first steps you take could mean the difference between a small cleanup and a more costly and time consuming restoration. Knowing when to call in a professional can also save you time in getting your life back to normal and money by preventing further damage to your home. ServiceMaster Restore® restoration professionals help return your home to normal as quickly as possible while restoring your peace of mind that the job was done right. Lift draperies off the floor, loop through a plastic coat hanger and place the hanger on the drapery rod. Do not remove books from shelves. Instead, pack them tightly to prevent warping of pages until a restoration professional can begin this specialized drying. Open drawers, closets and cabinet doors to enhance drying. Corrosive by-products can cause irreversible etching in as few as 72 hours. Call for professional help. If the temperature is above 60°F, air out the house to reduce smoke odor. Change the air filter on your furnace if it uses forced air. Fast action is required to prevent further damage. Call a restoration professional to remove damage caused by vandals. Make a list of all damage. Use a shop vacuum to remove glass particles from carpet and upholstery. Remove any debris from carpet or interior walls. Scrape or blot carpets and furniture - do not rub. Wash egg or other residue from the building exterior using water. Do not use household cleaning products on fabrics, upholstery or carpets. Do not attempt to remove chemical stains, including ink or paint. Do not operate damaged electrical appliances. From start to finish,your staff was professional, on time, and nothing was too much trouble.We would highly recommend your company. Thank you for a no fuss experience. Staff and subcontractors very professional about how they took care of the situation. The immediate service was very fast and efficient even throughout the first dry out time. The painting contractor was a bit of a concern having him do the drywall repair. I did have to comment to him about some drywall that was not installed correctly. After that the concerns were gone and finished off very well. The flooring company was very good and would recommend them any time. 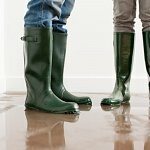 We liked the very quick response from your company when our downstairs was flooded and the way the drying process was handled very efficiently. Since then, we have had drywall replaced and walls painted and we are very pleased with the quality of work which has been done. Prompt, efficent, thorough abd polite. Quality of work is there and when something is not right they make sure that the problem is resolved. You are so friendly, efficient. Caring. Professional, courteous staff. Nothing damaged. Everyone I dealt with was professional, helpfull and truly wanted to help us and make this not so great experience bearable. Very prompt sevice. Each trade member were both personable and highly skilled. They were courteous and provided clear explanations of what they were about to do. prompt service and friendly personel. Punctual and complete range of services.